You’ve narrowed down your niche as a nutrition entrepreneur. Now what? Now you need to know how to find clients. The first step, and arguably the most important, is nailing down exactly who your ideal client, or target customer, is – who needs and wants to work with you as a nutrition professional? Once you’ve picked your niche [see this post on how picking a niche can help you grow your nutrition business if you haven’t chosen one yet], it’s time to identify your ideal client. 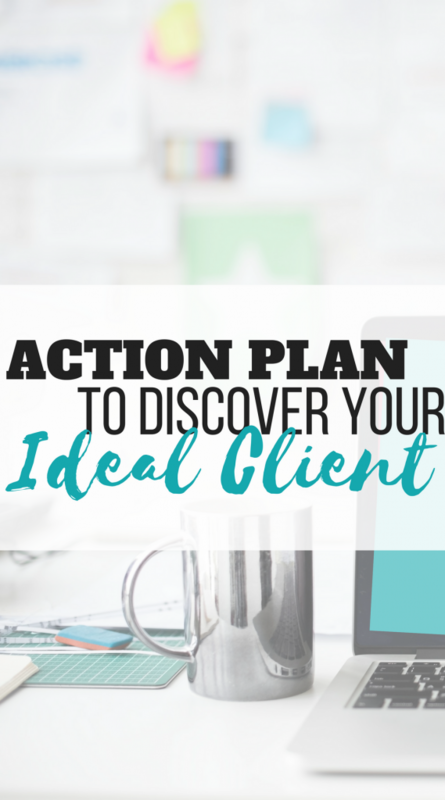 Your ideal client, or target client, is exactly what it sounds like – a potential client that fits the exact needs and characteristics of someone you want to work with. Someone that needs YOU specifically to help them. Why do you want to know who your ideal client is? Most simply: so you know who to market to! It’s much easier (and more effective) to come up with marketing “jargon” if you know exactly who you’re talking to. (Think elevator pitches, social media blurbs, sales funnels, website copy, etc.) On the flip side, it’s easier for someone to decide to hire you or buy something from you if they feel like you’re speaking directly to them and solving their problem. 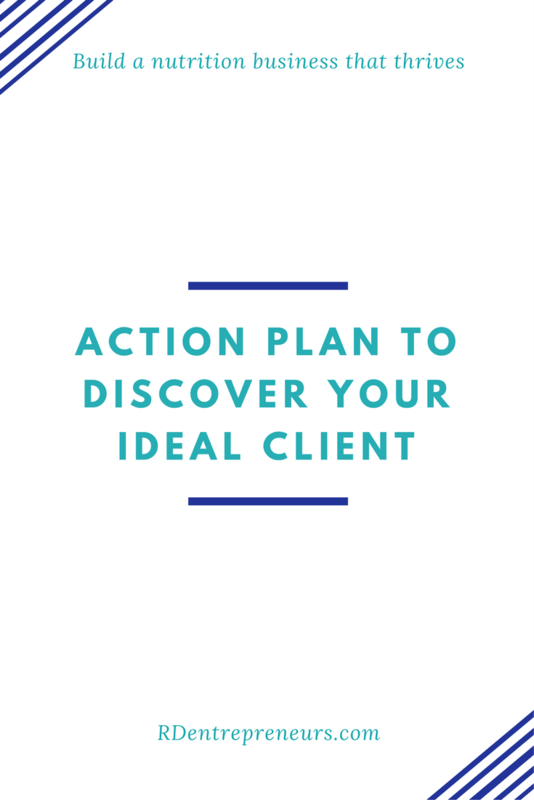 Developing an ideal client avatar (a made up person that portrays exactly the kind of person you want to work with) helps you fine tune and develop your messaging, marketing, and attraction factor. When clients are innately attracted to you and your programs, you can spend less time “selling” to them. That means less time figuring out how to find clients, and more time actually working with them. Meet Ava. She’s 32, a mom of two with one on the way. She has a Master’s degree and runs a part-time business out of her home while her kids attend private school. She loves running, cooking, and drinking wine with friends, but also enjoys being adventurous with her kids, going hiking, camping, and biking. Though she had two smooth-sailing pregnancies, this third one has left her fatigued and worn out. She’s developed gestational diabetes, and even though she’s no stranger to the kitchen, she feels lost when it comes to what to eat that her whole family will enjoy. Now when you write or talk about what you do, you can imagine you’re talking to Ava. What kind of program would Ava want? Where would she be most likely to see a flier you put up? What additional services or resources could you provide her? What types of doctors or other practitioners would likely refer Ava to you? Instead of hanging fliers in every Starbucks in a 20 mile radius, calling every doctor in town, and offering 8 different kinds of nutrition packages, you can be precise and focused: Ava’s a busy mom juggling lots of different things, perhaps an online program would suite her best. Her kids go to private school so you can probably charge a premium price without worrying about scaring her off or feeling forced to take insurance. She wouldn’t be surprised to learn about your services from an OBGYN, midwife, or chiropractor. Chances are she’s pretty tech-savy given her age and education, so you could probably get pretty specific in a targeted Facebook ad to attract her attention as well. Since Ava is feeding her whole family, perhaps she’d be drawn to some done-for-you meal plans that cater towards her gestational diabetes needs, or an e-cookbook of family friendly food.